The cosmic question: How do we become who we are? 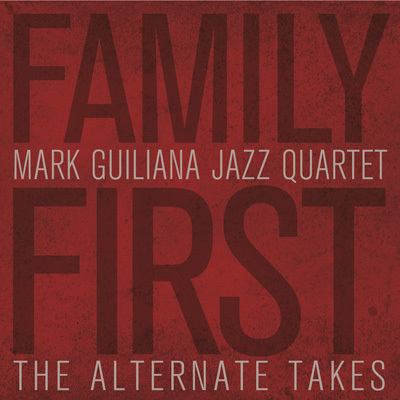 In the case of Mark Guiliana, the path has been as random as it is organic. Taking up the drums on a whim when he was 15, he was a typical Jersey kid, watching a ton of MTV and discovering Soundgarden and Red Hot Chili Peppers – and, less typically, beginning to decode the design of their drummers, Matt Cameron and Chad Smith. It was as if they were talking to him, and he was taking it in – the language of the drums, which he initially experienced as a physical sensation, like “an energy in my body,” he says. “It was an immediate `I love this. I don’t know why. I need to figure out why.’” And then he came across Elvin Jones and Tony Williams, Art Blakey and Roy Haynes – another world, jazz – followed by the electronic rhythm mazes of Aphex Twin and Squarepusher. Sign up to for Mark's mailing list and get all the latest news and tour dates.